The week is drawing to a close, and so tonight will be our final Vergecast Live at CES 2017 on Twitter. CES is far from over, but we’ll be bringing in The Verge family to talk about our favorite gadgets and the most important trends of the show. It’s going to be a blast. The Vergecast airs right here and Live on Twitter, beginning at 7:30PM ET. But CES 2017 itself is far from over! Stay tuned to The Verge throughout the next few days as we round up the best of the show and — as always — get just a little weird. The Vergecast Live at CES 2017 is hosted by Nilay Patel, Dieter Bohn, and Megan Farokhmanesh. It will also feature Casey Newton, Lauren Goode, Paul Miller, and Ashley Carman — and hell, quite a few more people from the massive Verge team that we’ve brought to CES this year. Tune in each night and tweet with the hashtag #CES2017 — Megan may just read yours on the show. Follow along with the stream of updates over there on the right. 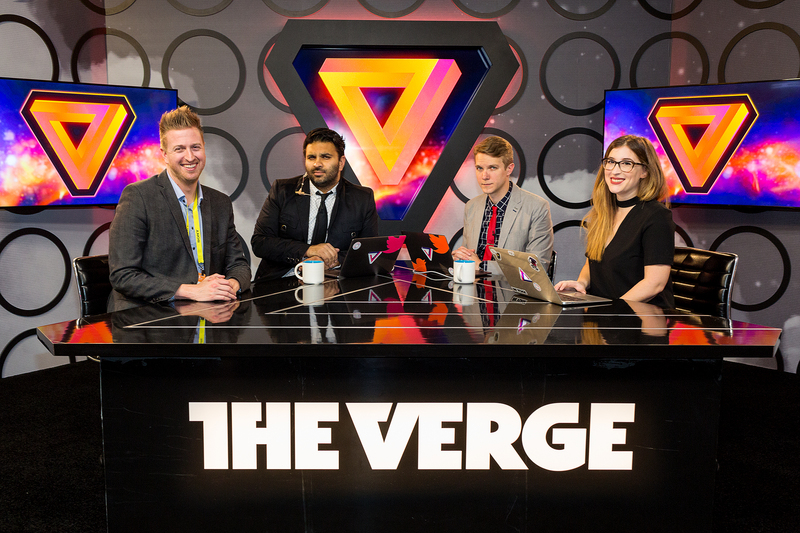 You can also subscribe to @verge on Twitter to get notified when the show goes live, and then watch it right in the Twitter app or at ces.twitter.com.